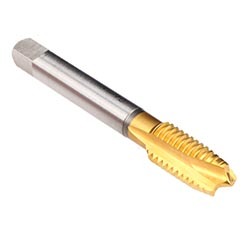 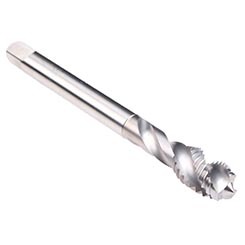 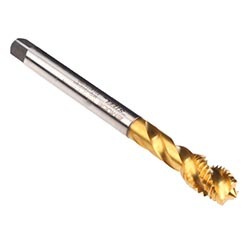 The Steel designation for spiral flute (Enorm style) or straight flute (Rekord style) taps indicates tools that are designed especially for steel materials but they can also be applies successfully in other long chip forming materials. 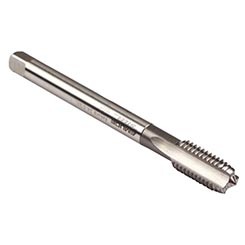 Steel taps are offered with various design options and surface coatings for optimized performance and tool life. 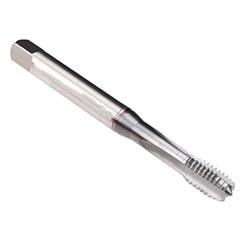 Enorm - Typical tool for blind hole threads in long-chipping materials. 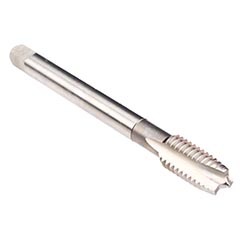 The fast spiral flutes provide good chip removal from the blind hole. 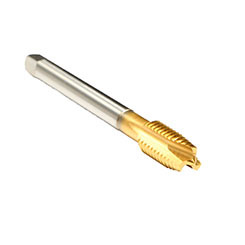 Rekord D - Recommended for automatic lathes and multi-spindle machines. 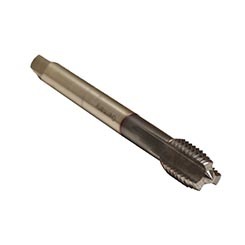 The slow spiral flutes is especially helpful in thread holes beginning with an increased diameter (counterbore or enlarged bore). 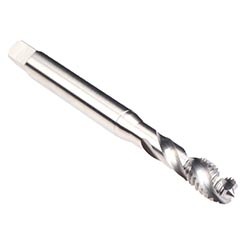 See slow spiral taps here.